Contents: R.M. Klein, B.K. Doane, J. Curtis, Introduction: Demystifying Dissociative Phenomena. Part I:Clinical Analysis. R.P. Kluft, Multiple Personality Disorder: Observations on the Etiology, Natural History, Recognition, and Resolution of a Long-Disregarded Condition. B.D. Doan, S.E. Bryson, Etiological and Maintaining Factors in Multiple Personality Disorder: A Critical Review. J. Barresi, Morton Prince and B.C.A. : A Historical Footnote on the Confrontation Between Dissociation Theory and Freudian Psychology in a Case of Multiple Personality. G.A. Fraser, Dissociative Phenomena and Disorders: Clinical Presentations. Part II:Psychological Concepts. K.S. Bowers, Three Levels of Consciousness: Implications for Dissociation. C. Szostak, R. Lister, M. Eckardt, H. Weingartner, Dissociative Effects of Mood on Memory. G. Bower, Temporary Emotional States Act Like Multiple Personalities. Part III:Scientific Analysis. P. Flor-Henry, Cerebral Aspects of Hysteria and Multiple Personality. M.J. Nissen, J.L. Ross, D.B. Willingham, T.B. Mackenzie, D.L. Schacter, Evaluating Amnesia in Multiple Personality Disorder. F.W. Putnam, The Switch Process in Multiple Personality Disorder and Other State-Change Disorders. Part IV:Round Table Discussion. Prospects for a Psychology of Dissociation: A Round-Table Discussion. "These papers elucidate contemporary theory and controversy, focusing on multiple personality disorder....roundtable discussion contains spirited debate and underscores the scope of unresolved issues." 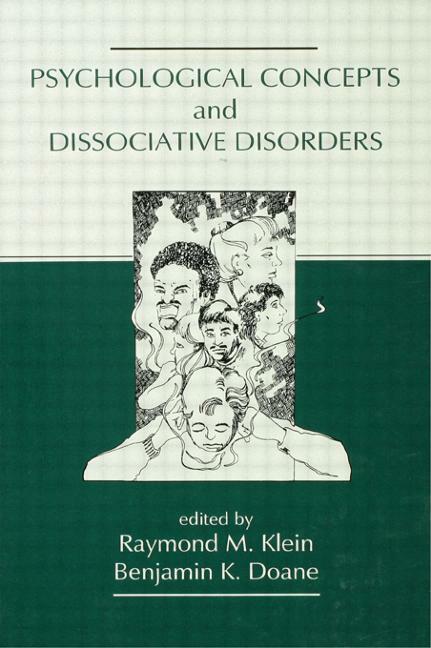 "...the contributors have taken an important step in demystifying these syndromes [MPD and other dissociative disorders]..."